Picture this…. You have a beautiful back paver patio with all the luxuries of home. Your children play on the lawn while you happily grill up some dinner on your outdoor kitchen. But just off in the distance a bit, there’s a meandering path lined with wildflowers and meadow plantings that’s every so slightly visible from the back door sliders. While walking along the naturalistic walkway, you see butterflies hover alongside happily buzzing bumblebees and the occasional hummingbird passes by. As you become more relaxed, the path opens up into a small, secluded little seating area with a wrought iron couch, colorful pillows, and a mosaic outdoor coffee table. How’s that sound for a quiet spot to read on a lazy Sunday afternoon? There’s a trend in outdoor living and landscaping here in the Hudson Valley and it involves creating just such relaxing spaces. 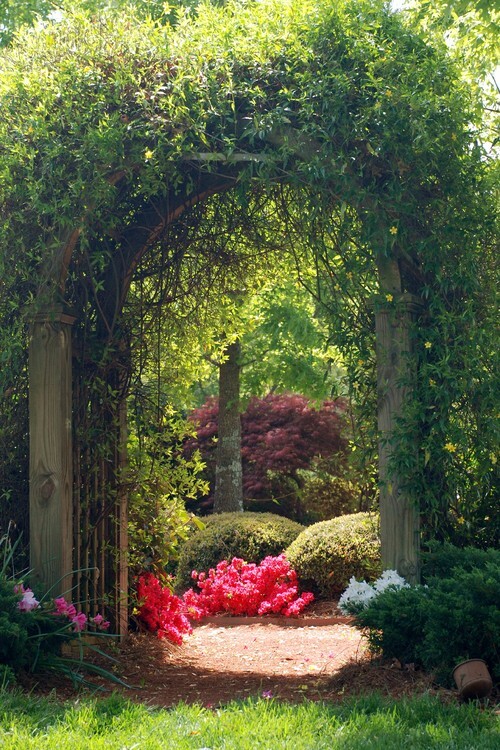 Secret gardens, or destination gardens, are growing in popularity as people continue to make their homes more resort-like and decrease the need for traveling in search of relaxation. 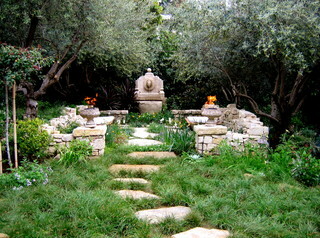 Do you have a spot on your property where a little piece of paradise could be build? Have the folks at Harmony Hill Landscaping in Fishkill, NY show you their vision for the complete outdoor living space of your dreams.